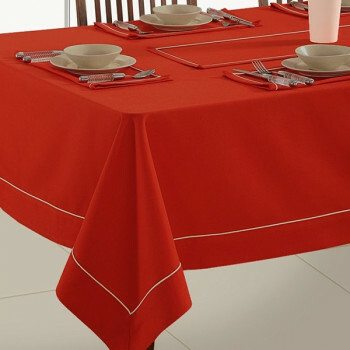 When you think of fine dining, you think of eating on a table with fancy table cloths, skillfully folded napkins, with large number of silverware on the table. 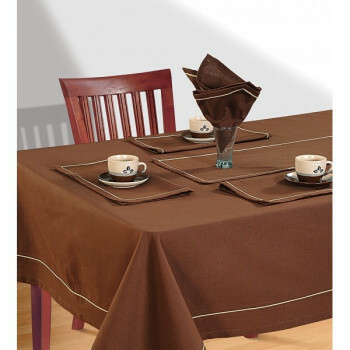 Presentation is an essential aspect of fine dining. 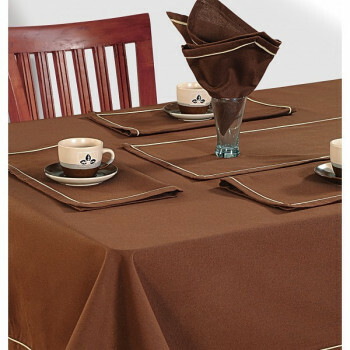 Buy mocha plain rectangular table linen from swayamindia.com to give your dining space a well-dressed appearance. 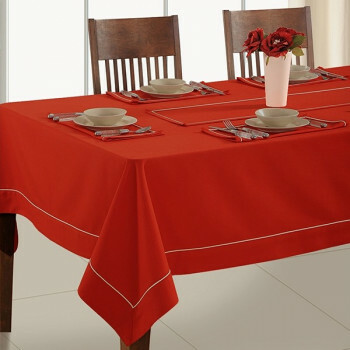 A color in the smile of your child, the brimming shine of the sun or call it the charm of marigold, this adorable table spread has lots more to say. 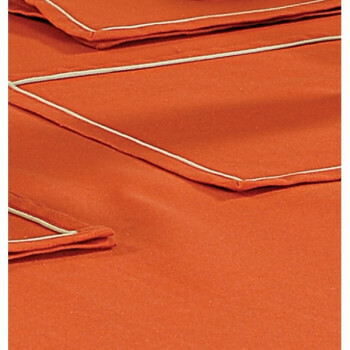 Just look at its indulging grace and you would find yourself in complete joy at the end. 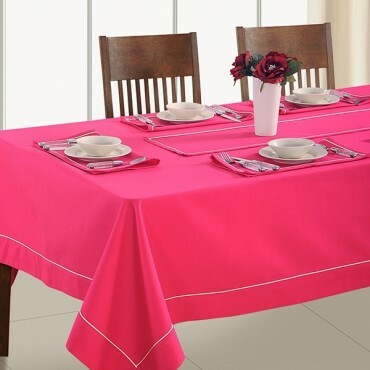 A merry view is captured mysteriously over this table linen to keep surroundings joyful always. 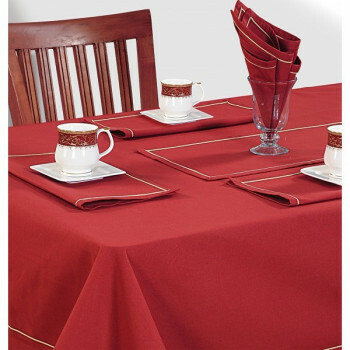 Dining demands leisurely experience in order to relax and relish. 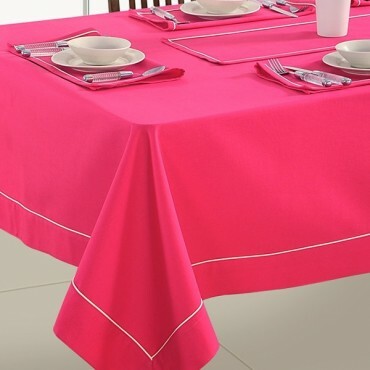 Your menu should be appetizing as well as the surrounding should be appealing and engaging. 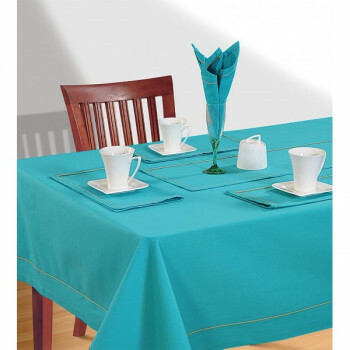 Buy fresh plain rectangular table linen from swayamindia.com to create beautiful, stylish and comfortable dining room decor. 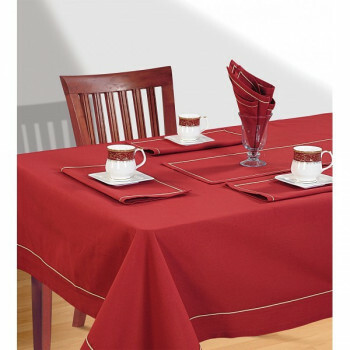 A perfect dining set up allows the guests to dine in style. 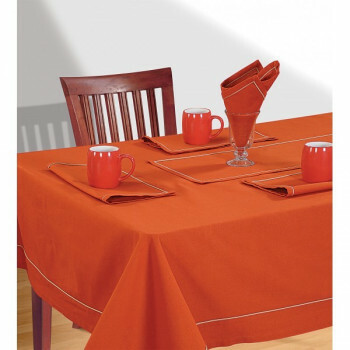 The major color and flavor adding ingredient to your food, saffron, is now ready to add color to you dining set up. 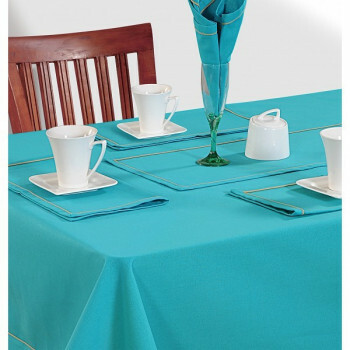 The color of the kheer, halwas and birayanis that you make would now be enhanced with this bright piece of work on your dining table. 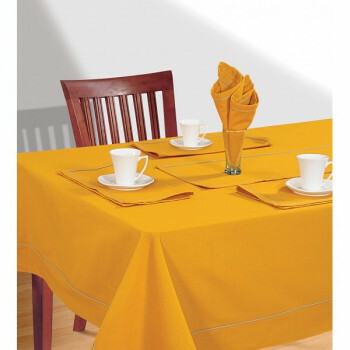 Buy saffron plain rectangular table linen from swayamindia.com to spice up the dining area with this table linen. 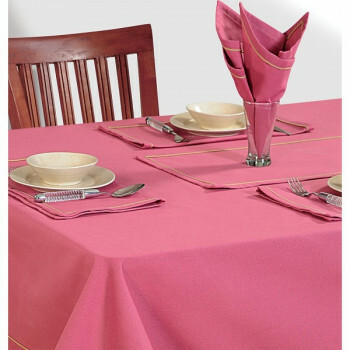 Like candies in pink decorating your table, this beautiful color would get placed on your dining space. 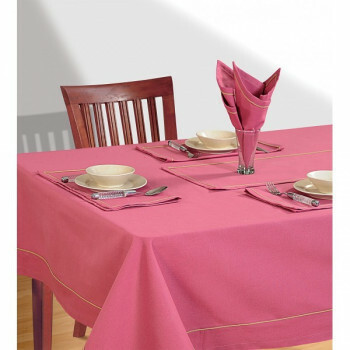 Pink the color of rose, spreading the fragrance of its presence in every corner has given out its pleasant color to these table linen. It’s the sea you desire to plunge into for getting refreshed. As you dare to be deep inside this widespread chilly water, get ready for the tremors of ice on your skin for rejuvenating sensations. 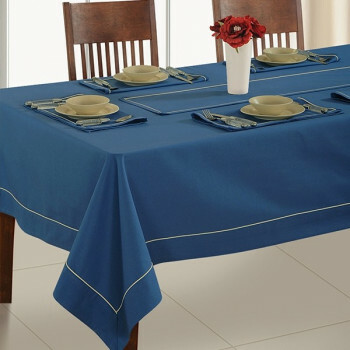 Calm, relaxed, crystal clear and smooth, oceanic tides are ready to take your breath away. Maroon- a shade well known for crimson love is ready to be fermented. In a casket of refined expression, it is visible clearly. 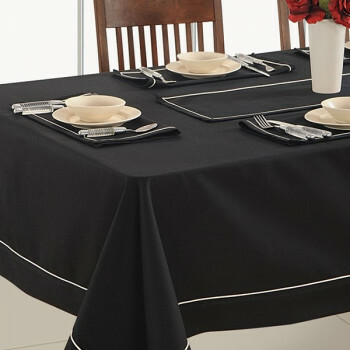 Denotes the new life, intense love and innocence of being, so won’t be wrong to spread in your dinette. 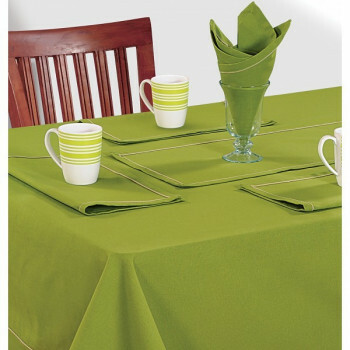 Just like the sweet agony behind hazel eyes, it has blazing glare that can make a dull piece of furniture breathing. 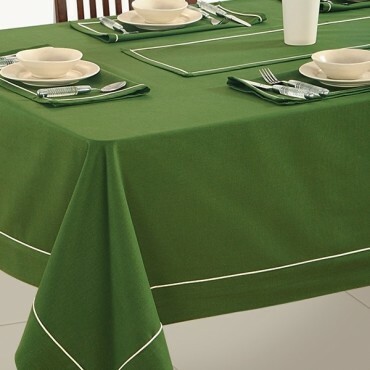 Bring to your décor a new touch with this Plain Rectangular Table Covers by Swayam. 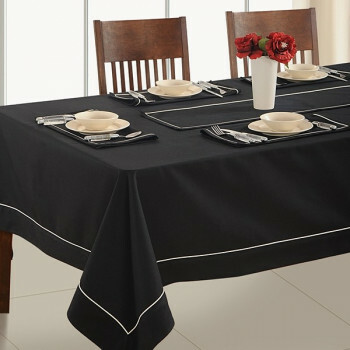 This plain rectangular table linen will add a suave feel and will be a source of attraction. 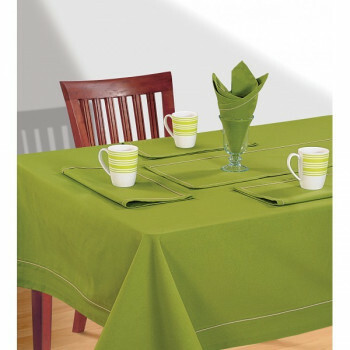 These table linen come with dinner mats & napkins and table runners too depending on the requirements. 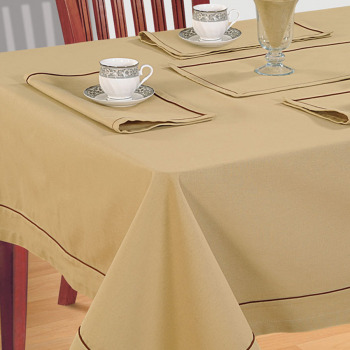 These plain table covers are made up of premium pure cotton and are 100% color fast i.e. it will not fade on washing. 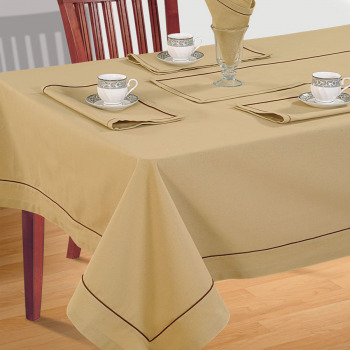 All the plain rectangular table covers are available with coordinated border. 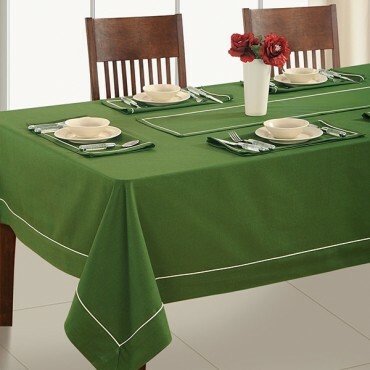 These designer table covers are specially crafted & designed for rectangular tables. 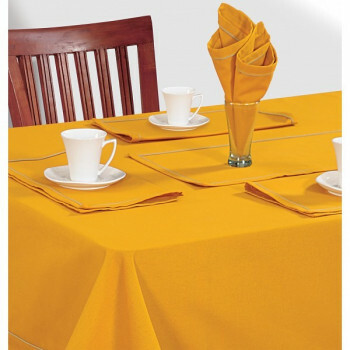 You can buy these Plain Rectangular Table Covers at Swayam India online portal at discounted price. 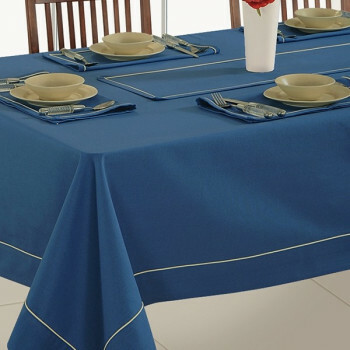 Given below are few unique features of this product.